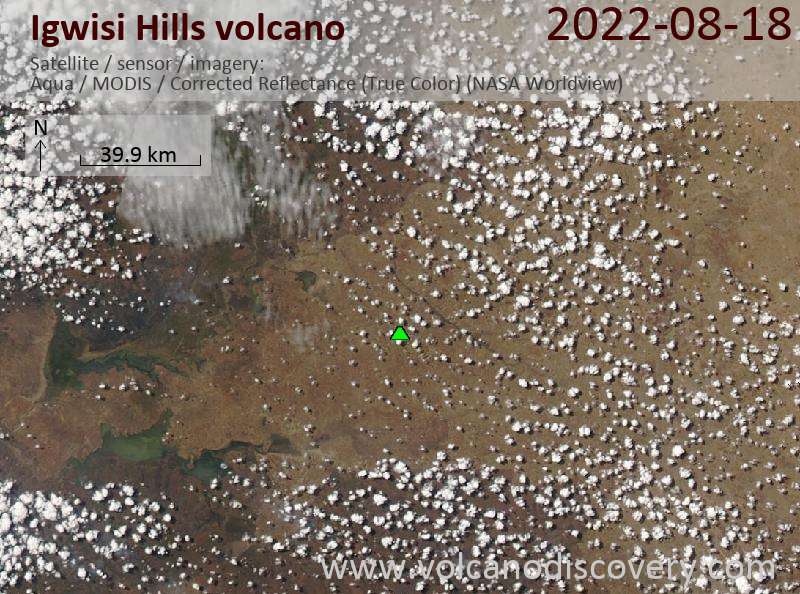 Three kimberlitic volcanoes of Pleistocene-to-Holocene age are located in the Igwisi Hills, WNW of the city of Tabora in NW Tanzania. The volcanoes were erupted through granitic gneisses and are located on the western side of the Tanzanian Craton far from other Tanzanian volcanoes, which are located near the Gregory Rift. Two well-preserved craters rising 15 to 45 m above the plain occur at Igwisi, with a less pristine crater in between. The NE crater is the largest, 370 m in diameter, and has been breached on the ENE side, the source of a small lava flow about 1 km in length and width. 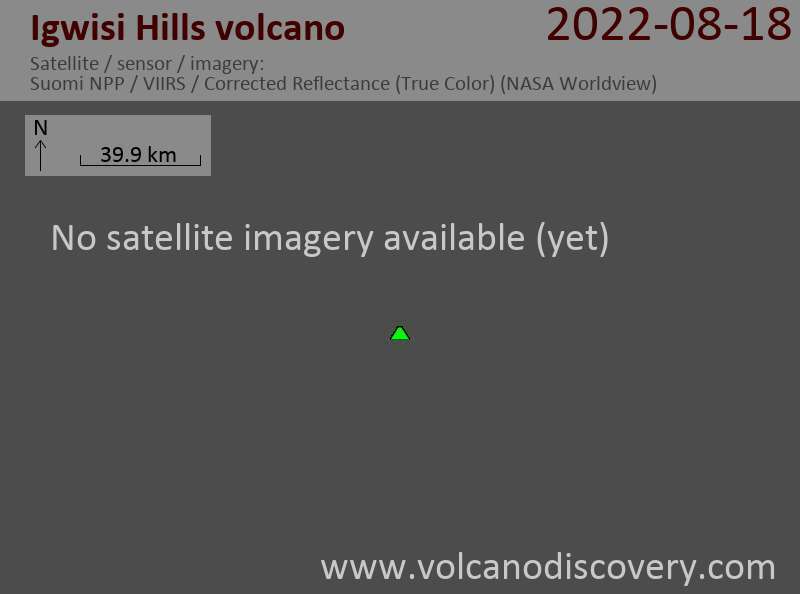 The SW crater is also breached on the ENE side, but no lava flow is visible.